An army of turtles appears and charges at the foe. 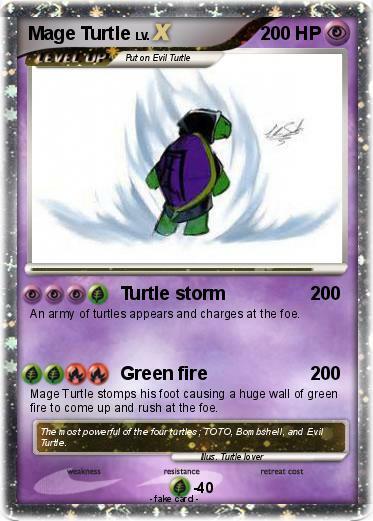 Mage Turtle stomps his foot causing a huge wall of green fire to come up and rush at the foe. Comments : The most powerful of the four turtles; TOTO, Bombshell, and Evil Turtle.